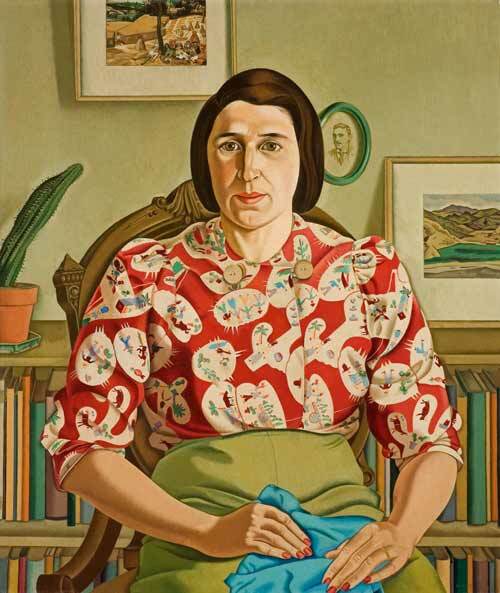 This 1942 painting of Allen Curnow’s wife, Betty, showed her pregnant with her second child. Rita Angus gave the Curnows the portrait to thank them for their hospitality and friendship in the 1930s and 1940s. Angus and Betty Curnow planned the portrait together. They selected clothing and objects that would best symbolise the threads of Betty’s life as a daughter, wife and mother.